Is your back hurting? What is the reason behind it? Maintain good posture: Always sit/walk straight. While sleeping, do not rest on your stomach. Take a break: Avoid sitting in a chair for longer than 30 minutes at a time; get up and move around. Practice relaxation techniques: Relax your back muscles, when you're sitting in one place for a long time. Stretch your upper and lower back. Hold the stretch for 5 to 10 seconds and slowly release. Drop the load: Exercise 4 to 5 times a week to shed extra weight- if any. Aerobic exercise or yogasanas are good for preventing back pain. Exercise your back & abdomen: Back exercises strengthen back muscles. Crunches strengthen abdominal muscles and this decreases back pain. Good posture and back support are critical for reducing the incidence and severity of back pain. 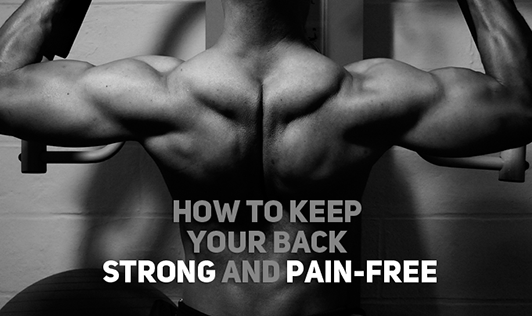 The ultimate result is freedom from pain and a stronger, healthier back.